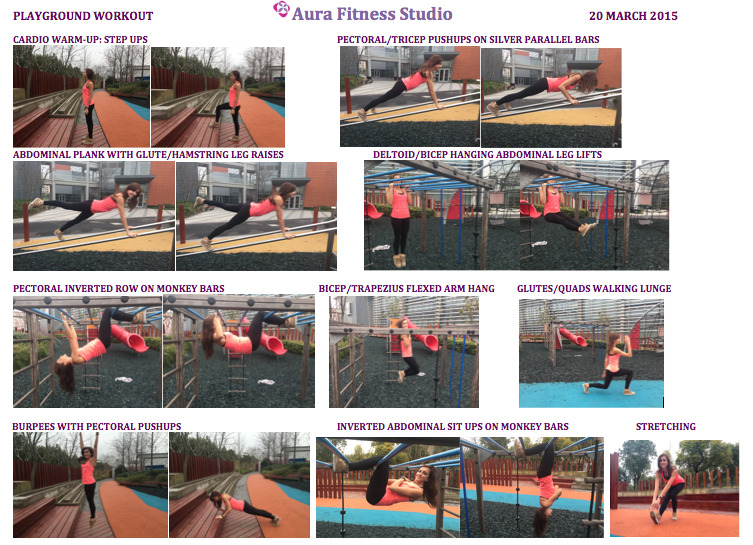 Check out this week's gym-free workout, designed at a local playground here in Shanghai. This workout will strengthen every major muscle of your body and will strengthen your cardiovascular endurance, if you perform it with a Tabata timer. Using a timer like this one, perform each exercise for 20 seconds, then rest for 10 seconds before moving onto the next exercise. If you perform just one circuit of this workout from start to finish, it should take about five minutes. For maximum results, I recommend repeating the circuit three times.